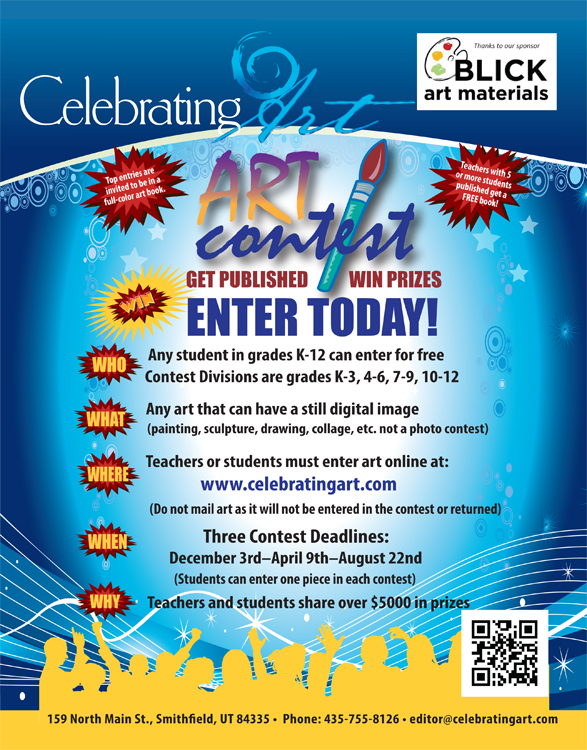 Each student may enter one art piece for each contest. Prizes: Ten winners in each grade division K-3, 4-6, 7-9, 10-12 for each contest and their art teachers will share over $5000 in prizes. Winners will also receive a free copy of the art book which includes their work. Other entries of merit will be invited to be published in our full color art book. Teachers who have 5 or more students published will receive a free copy of the book that features their students. Types of art: Any art that can have a still digital image. Paintings, computer graphics, sculptures, drawings, etc. Take a picture of your art. This is not a photography contest.